Dr. Thierno Thiam is Special Advisor to the President for Global Initiatives and Assistant Professor, Political Science and International Relations at Tuskegee University. He joined Tuskegee University in December 2010 from the Institute for State Effectiveness (ISE) based in Washington D.C. The ISE blends conceptual thought, analysis and direct experience to rethink relations between citizen, state and market in the globalized world. Thiam’s academic activities span across several major universities including Howard University where he taught the Graduate Seminar in Comparative Politics; University of Maryland, College Park where he taught the Politics of Africa and Purdue University where he taught courses in International Relations; and Tuskegee University where his courses included International Organizations, Comparative Government, African Politics, and Select Issues in International Relations. His most recent publication includes a contribution as co-author with Dr. Gilbert Rochon, Former President of Tuskegee University, to the Council of Europe’s Reimagining Democratic Societies: a New Era of Personal and Social Responsibility. 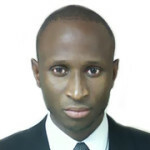 He is currently working on a book focusing on African Sustainable Development and Emerging Technologies, as first author. Thiam holds a Ph.D. in Political Science from Purdue University where he was a pivotal role in establishing the newest Ph.D program in Public Policy and International Affairs. He also serves as co-chair of the committee on internationalization at Tuskegee.